Spanish Civil War | Come Here To Me! How they saw the Rising: The words of British Soldiers, Anarchists, Novelists, Poets, Medical Students, Revolutionaries and Daughters. So wrote a young British soldier serving in Mesopotamia, or Iraq to you and me. Bemused by what had occured in Dublin, this one soldier had gone to war not lured by the recruitment posters featuring small nations (often personified in the form of female characters) but in his own words “..for no other reason than that I wanted to see what war was like, to get a gun, to see new countries and to feel like a grown man”. 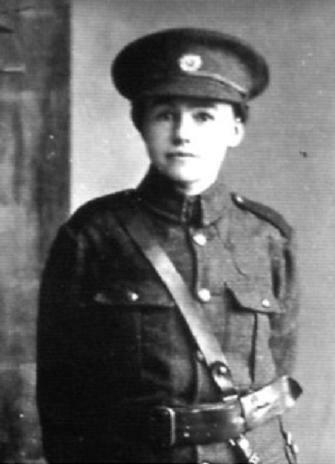 This young soldier would continue to serve that army afterwards, but in 1920 became a member of the 3rd Cork Brigade of the Irish Republican Army, rising through the ranks to become a flying column leader who inflicted terror on Auxiliary forces at Kilmichael and the Essex Regiment of the British Army and the Royal Irish Constabulary at Crossbarry. The young man, of course, was Tom Barry. Barry was not the only Republican leader who saw the Rising in an unusual manner. 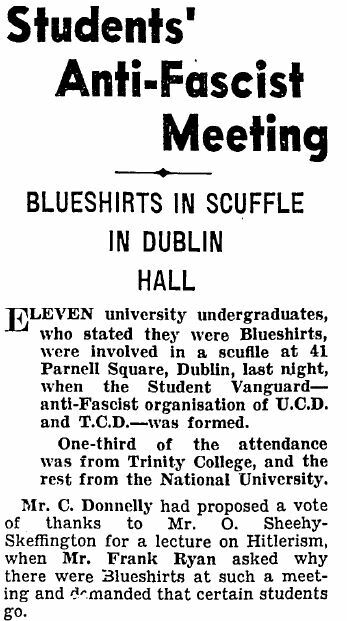 In Dublin,a young medical student named Ernie O’ Malley was taken aback by events, and vivdly described events on Sackville Street. In his memoir, On Another Man’s Wound he went on to note that after the rebellion he purchased a copy of James Connolly’s Labour In Irish History. 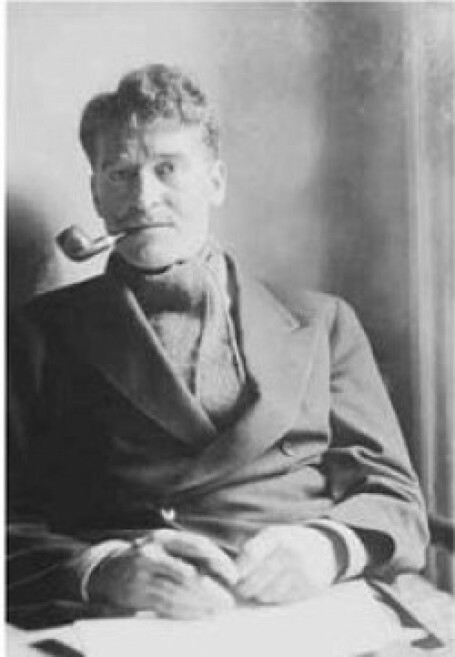 History would see Ernie O’ Malley remembered as a leading republican anti-treatyite, and a key intellectual within the movement. 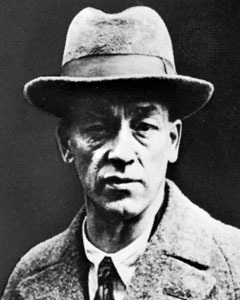 In Dublin, James Stephens was surprised by the outbreak of the insurrection, in fact to the extent that he did not notice at first and went about his business. A novelist and poet, his account of the week, The Insurrection in Dublin, is well written and oft-humourous. “This has taken everyone by surprise. It is possible, that with the exception of their staff, it has taken the Volunteers themselves by surprise; but,today, our peaceful city is no longer peaceful; guns are sounding or rolling and cracking from different directions, and, although rarely, the rattle of machine guns can be heard also. 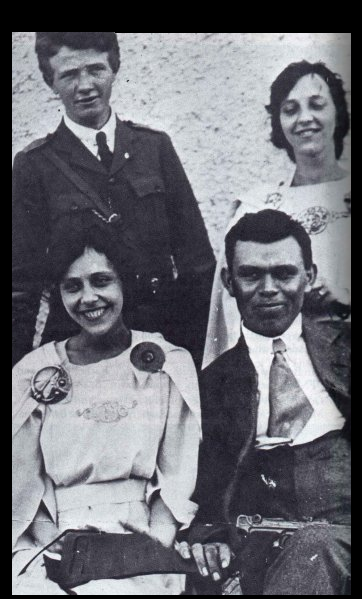 Stephens would seek confirmation of the Risings continuation from his own window, and the Republican flag flying over the Jacob’s Garrison, under the command of Thomas MacDonagh, but including a diverse band of individuals like Peadar Kearney (author of The Soldiers Song), Major John MacBride and the actress Máire Ní Shiubhlaigh, a member of Cumann na mBán, the womens auxiliary force to the Irish Volunteers. a heavy gun boomed once. Ten minutes later there was heavy machine gun firing and much rifle shooting. In another ten minutes the flag at Jacob’s was hauled down. Many had believed that the country would rise after Dublin, and create a national uprising out of a regional one. This was not to be, with contradictory orders from national leadership leading to mass confusion. Liam Mellows mustered a force of several hundred in Galway who were involved in several attacks on police barracks’ yet did not have the capability to sustain any sort of campaign in the region. Men of the ‘Fingal Batallion’ of the Irish Volunteers would find themselves active in Ashbourne, County Meath with Thomas Ashe, where they inflicted real damage on local Royal Irish Constabulary forces. Still, the significant forces available to the Volunteers nationwide were not used, as many had obeyed the order of Eoin MacNeill and word did not travel from Dublin at a speed to allow for a nationwide insurrection. 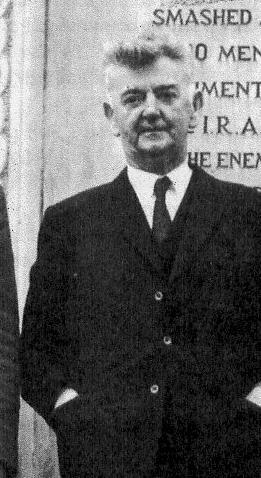 The frustration of some Volunteers outside Dublin can be clearly felt in Dan Breen’s account of news reaching him in Tipperary, and his attempts to establish contact with Sean Treacy, a leading figure of the Third Tipperary Brigade and a close friend. “Sean had left his home on the first news of the Rebellion and cycled from one centre to another, urging the Tipperary Volunteers to take action…. Perhaps fittingly, on the 21st of January, 1919, Sean and Dan would play no small part in resuming the fighting with the Soloheadbeg Ambush, an action that has found a place in Irish history as the event which essentially kick-started the War of Independence. Anyone new to the period should seek out the ‘Wanted’ poster for Dan Breen, which is sure to raise a chuckle, highlighting his “sulky bulldog appearance” among other things. Events in Dublin would have a ricochet effect far beyond the city or even Irish countryside. In Wales, Captain Jack White would find himself arrested too. White had drilled, and in fact dressed (disagreeing with Sean O’ Casey on the matter of uniforming such a workers militia), the Citizen Army long before the insurrection. 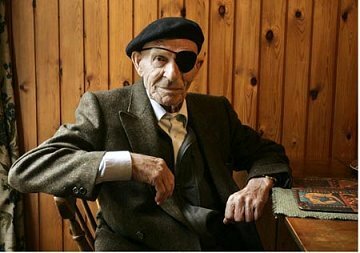 Years after the insurrection, White would find himself an anarchist in Spain,and in an article published on November 11th 1936 titled “A Rebel In Barcelona: Jack White’s First Spanish Impressions” White would once again speak of the Easter Rising. Not all former comrades of James Connolly and the Irish Citizen Army were as kind. 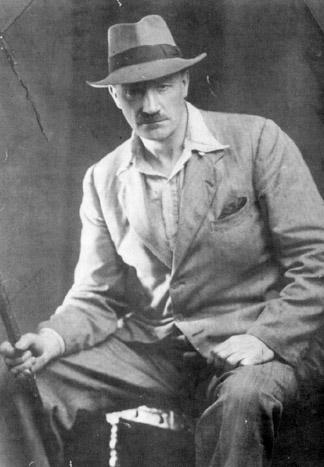 Sean O’Casey had walked from the Citizen Army (where he held the situation of Honorary Secretary) with maintained a belief that the Citizen Army had aligned itself too closely with what he saw as reactionary nationalist forces. “But Cathleen, the daughter of Houlihan, walks firm now, a flush on her haughty cheek. She hears the murmur in the people’s hearts. Her lovers are gathered around her, for things are changed, changed utterly. Lastly, it is worth taking a brief look at a story that is personal and not political. In Portrait of a Rebel Father , Nora Connolly O’ Brien, daughter of James Connolly, describes the initial reaction of the family to their fathers execution. “Mrs. Connolly”- a nurse came to them as they stood in the hall not knowing what to do- “before Mr. Connolly left us I cut this off for you” On her hand was a lock of daddy’s hair. Mama took it and held to her cheek all that was left of him. 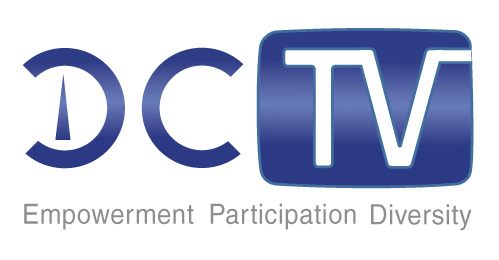 Of course, the above opinions and reactions are just a small sample of what is out there. This Easter Week, we should look at the event not just as a week long insurrection, but as an event that would ricochet on through the troubles that followed and continue to spark debate long after the last bullets whizzed through the Dublin sky. 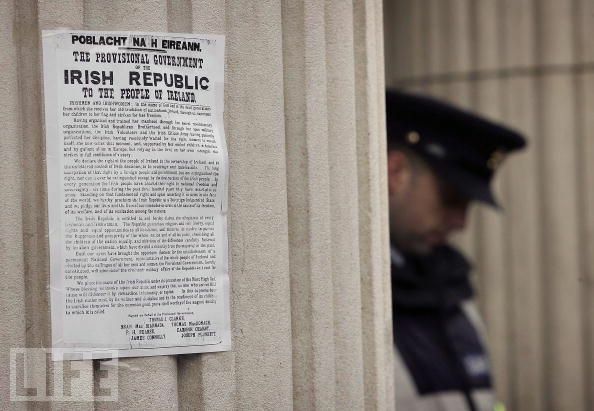 A fantastic snap from life.com from one of the the 2006 commemorations at the GPO,Dublin. Some friends of ours are organising a benefit night next week to help raise money to erect two monuments in the memory of Charles Donnelly, poet, anti fascist and UCD graduate. The first near his birthpace in Dungannon, Co. Tyrone and the second near the spot where he died at the age of 23 in the Battle of Jarama. 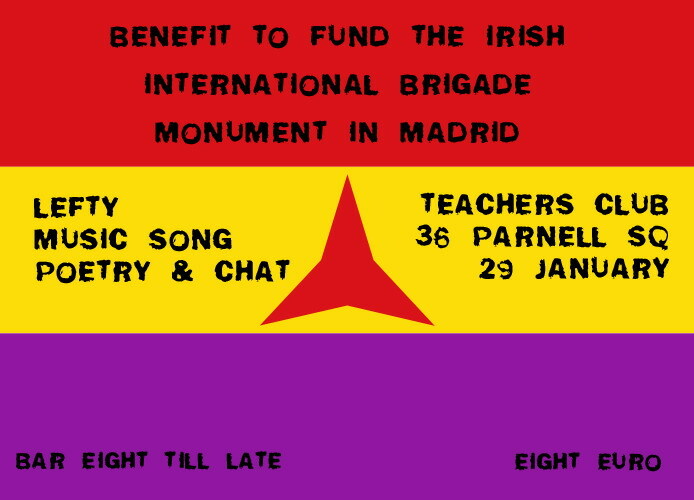 The night will comprise music, poetry and song but, more importantly, it will give like-minded people who appreciate the continuing significance of the Spanish War of 1936-9, an opportunity to meet up, have the craic and celebrate the spirit and legacy of people such as Charlie Donnelly. Eddie O’Neill at 087 271 2864 or eddietyrone@gmail.com. Note: I wrote an article about Donnelly’s time in UCD last year. 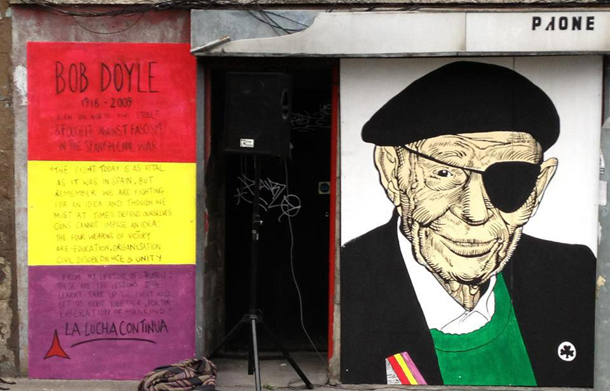 Harcourt Street and The Spanish Civil War. Hanna Sheehy-Skeffington, the suffragette and Irish republican, acted as chairperson of the group while the secretary was John Swift, general secretary of the Irish Bakers’ Union. Other prominent members included Dorothy Macardle, the writer and historian and Nora Connolly-O’Brien, daughter of James Connolly. The use of the laundry had been arranged by Robin (Robert) Tweedy (1853 – 1956), a Communist Party member whose family had connections with the laundry business. A. P. Behan, Dublin Historical Record , Vol. 47, No. 1, Diamond Jubilee Issue (Spring, 1994), pp. 24-45.